Actor Ayushmann Khurana tweeted, "Hawai firing!! Superb!!" The filmmaker Anurag Kashyap "Sonchidiya" trailer is so exciting ... this Sudeep Sharma and Chaubey combo is lethal "
The actor Sharib Hashmi shared "#SonChiriyaTrailer https://youtu.be/aejAkKGiimk Dhaansoo!!! @itsSSR @bhumipednekar @BajpayeeManoj sirrr Tod phod !!! @RanvirShorey @ashutoshrana10 @maheshbalraj786 @GaganDevRiar #AbhishekChaubey @HoneyTrehan can't wait for #SonChiriya !!!" The actress Renuka Sahahane shared, "What an amazing trailer. It's always amazing to see @ranaashutosh10 & @BajpayeeManoj together. Superb @itsSSR @bhumipednekar What a cast & to top it the director #AbhishekChaubey Looking forward eagerly. " The model-actress Diana Penty shared, "Edgy and so very fierce! 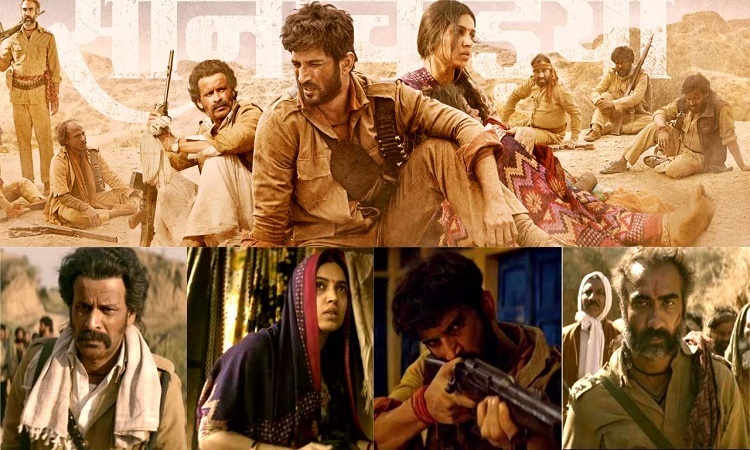 Congratulations Team #Sonchiriya on a super trailer! @itsSSR @bhumipednekar @RSVPMovies @BajpayeeManoj #AbhishekChaubey @RonnieScrewvala @ZeeMusicCompan"
Girish Johar tweeted, "ENJOYYY !!!! #SonChiriyaTrailer... @itsSSR @bhumipednekar @BajpayeeManoj @RanvirShorey @ashutoshrana10 ... Directed by @abhishekchaubey ... #SonChiriya ==>"
Starring Sushant Singh Rajput, Bhumi Pednekar, Manoj Bajpayee, Ranvir Shorey, and Ashutosh Rana in lead roles, Sonchiriya presents tale set in the era of dacoits of 1970s.